Generating traffic for a website and affiliate products is always the toughest thing about running an affiliate marketing business or campaign. 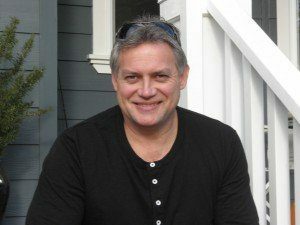 Brian Winters and his 5 Figure Day hopes to solve that problem for you by offering a done for you system. Brian’s system comes with a pretty hefty monthly fee of $97 a month which does concern me a bit, given the fact that you can run an affiliate business website, hosting, keyword tool all included for less than $50 all in, and promote any product that pays you, not the reverse. In my 5 figure day review I will break the offer down and see if there really is value in paying Brian $97 a month for the right to promote the 5 Figure Day program. Email marketing has been an effective way to drive traffic to affiliate offers for a long time now, this is a proven marketing technique which the 5 Figure Day program hangs its hat on as its main traffic generation technique. The 5 Figure Day offer states that it can help you drive 500% more traffic by utilizing their system that revolves around email campaigns which we will be taking a hard look at in my 5 Figure Day review. I welcome any questions or comments that you may have. If you would like to ask me anything in private just visit my “contact me page” here on this site and you will have direct contact with me. Enjoy the review, have a great day Mike. What Is The Premise Behind 5 Figure Day? 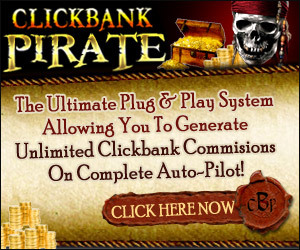 5 Figure Day claims to provide potential income/visitors up to 500% faster than other websites. They run on a traffic forwarding technology that operates behind the scenes and helps you build a large email list, claiming to be much faster than ordinary methods. To keep it simple the 5 figure Day System is basically just a system that teaches you how to build a fast-tracked email list, and from there they set you up with a squeeze page and a landing page and email content to send through to your email list. The idea is to draw attention to the 5 Figure Day system, and draw others into becoming paying members for the same system. Every month you get a new pre loaded website, really just a landing page and squeeze page, to use for your marketing campaign. If people pass on the free membership which the 5 Figure Day program does offer and opts for the $97 membership, you will be eligible for roughly a 50% commission ($45) for every month that the member is active. In many cases products or programs that you get sucked into promoting drop the ball on converting after you have gone through all the hard work and paid out quite a few bucks to get people to their door step. Over the years I have promoted a variety of products just to find out that I wasted a lot of time directing a ton of traffic to a product where the merchants lacked the ability to convert my traffic. Not sure how the 5 Figure Day offer converts, Brian says it converts great but I am always a little reluctant to take anyone at their word when it comes to promotions on the internet, trust me, everyone says their product or system converts! How Does The 5 Figure Day Offer Work?? 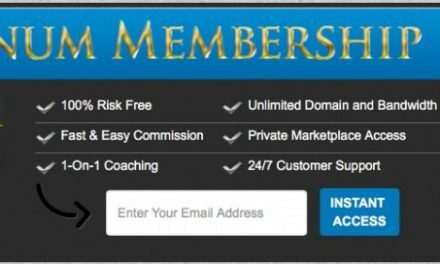 For your $97 membership fee you get monthly websites that are pre loaded and come with hosting. On top of this you are given an option for an autoresponder of your choice, Aweber or Getaresponse to integrate with your email campaign. All the information and training offered to you is on a few web pages. You are given a few training videos, resources, links and templates to start an email list. 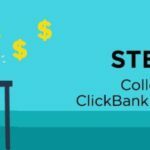 5 Figure Day utilizes a digital marketplace called Click Bank. You will be required to have a click bank account if you choose to stay on as a monthly member, Click Bank accounts are free. One thing as an affiliate I don’t like about Click Bank is their refund rates, they are very high, so what looks like a good month usually gets clawed back through refunds. Your given links to a main website with your own unique affiliate link, as well as 3 different “reloaded” websites. Every month your given new websites. From there you’re presented with the “Bootcamp” called the ‘Instant Traffic Bootcamp’. The boot camp teaches you how to effectively promote and push your 5 Figure Day product. The videos offered at the beginning of the web page are fairly simple and mediocre at best. A lot of the information can be found for free anywhere on the internet, and unfortunately wouldn’t be worth paying monthly for. Brain goes into a lot of detail about himself and the 5 Figure System, and I feel the videos contain what I would consider to be just fluff, little value here! 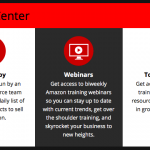 The instant traffic boot camp has 4 main sections, showing you how to effectively promote the product. Email Swipes: These are pre-made inserts for emails, used for your autoresponders. Banner Ads: your given upwards of 20 pre-made banner ads to use in your paid and free ad campaigns. Text Ads: These are Ads that Brian suggested you use in all other campaigns that don’t use an email component. They are geared more towards social media and classified ads. Instant Traffic – The secret to paid vs free advertisement: This section outlines the positive effects that paid advertisement has on your success. Brain begins to pitch the benefits investing money and time to help ensure success. 5FigureDay traffic, leads and commissions. All of these titles are followed by quick paragraphs explaining the various topics and how they will benefit you in your long term success. Unfortunately there are no videos or good educational explanations on how to actually implement these various techniques and disciplines. This is where Brian looses me if I were a newbie. Brian doesn’t go into enough detail for someone new to actually learn. 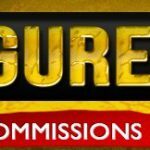 In addition, if you did want to promote and be an affiliate for 5 Figure Day, you have to pay the $97 in order to receive any kind of commission. If you stay with the free version, and decide to promote, you only get to build your email list. Any commissions earned go to the person that recruited you or Brian himself. The second biggest thing that frustrated me was Brian actually points out a lot of legit methods for making money online, but doesn’t go into enough detail for someone to actually understand and utilize these methods. Which in turn, makes me feel he’s more focused on pushing his own product rather than teaching people to legitimately make money online. What I 5 Figure Day Does Well! Price is high considering Brian also pitches using paid traffic methods which you really need to consider as an added cost. Paid advertising can really get out of control quickly if you don’t know what you are doing! Quality of training was disappointing in relation to the cost of the program. No high quality video training, just a few paragraphs here and there which you could source out for free on the internet. Lots of up selling in this program which is concerning, you really need to know your total costs when you embark on an internet marketing campaign. At $97 a month you should get everything you need plus. I use a program that hosts all my website plus offers hosting, keyword tool, and tons of training on every topic you can think of in text and video format. You Can check out a review I did on this program here! This program is geared to selling the 5-Day Figure offer which puts all your eggs into one basket, so your basically paying for the right to promote Brian’s product which goes against everything affiliate marketing stands for. I don’t advise paying to promote anyones product, online merchants should pay you! Your future income is tied to the success of the 5 figure Day program and if the program goes down so does your hope of making your money back. You actually own very little with this program, you don’t own your website, all you own are a few tools, all of which Brian will be making a commission off of as an affiliate. You see where I am going here, why not be an affiliate yourself for products like hosting and autoresponders like Brian is, and make a nice income yourself. You will always be in control of your own destiny instead of being tied to the fate of someone else. Conflicting messages – At the start of the program its all about doing things “FREE” but as you move towards the end of the training its really all about paying for stuff. When you add up what you get for your $97 a month it really doesn’t make for a good investment in my opinion, I could see if the training was really good and new training was added every day, but it isn’t. Any affiliate program that is any good will give you free banners and promotional videos to use in your campaigns to promote their products. Affiliate programs will also give you email swipes to send out to your email list for free as well. So really what are you paying for? From what I can see a pre loaded sales page, that’s really it! My Final Verdict Of My 5 Figure Day System. As I mentioned above, Brian’s program is based on using legitimate marketing techniques. The program is legit for sure. I guess where my review is critical of the 5 Figure Day program is the cost in comparison to the value you get. Much of the training you can find free on various websites and the items like banners and email swipes are free anytime you promote a program or product if that online merchant has their act together. I am a firm believer in being in control of your own destiny and I don’t feel its a wise business decision to tie yourself to one product like the 5 Figure Day offer. Learning how to promote any product online in my opinion is the way to go. Keep all your options open and costs as low as you can. For this reason I wouldn’t recommend the 5 figure Day program, good concept, good marketing techniques promoted, just to costly and restrictive in income potential. PreviousHome Biz Advisors – Scam Or Legitimate Offer? NextCB Passive Income 4.0 Review – Scam Or Legit? 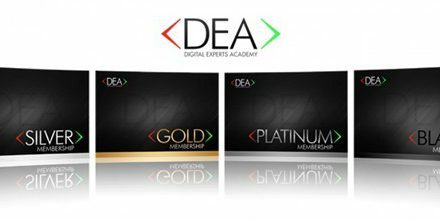 Digital Experts Academy – High Priced Membership Scam?